On a recent trip home, my siblings and I decided to venture into Downtown and check out what was new. Not so long ago, Downtown San Jose was not really a place that people wanted to hang out. However, Downtown has been revitalized over the recent years and now its a hip happening place. 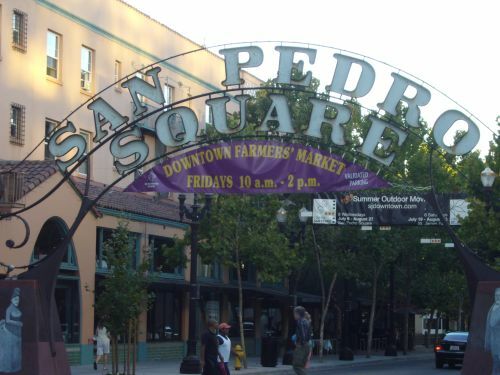 We parked our car and started wandering around, ending up in San Pedro Square which is doted with several restaurants and hosts a weekly farmers market. 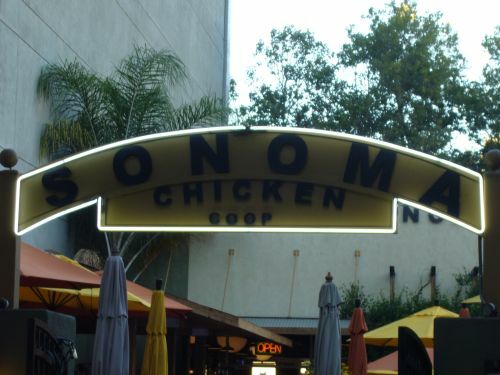 We finally decided on Sonoma Chicken Coop. The name caught my attention and it seemed quite busy. People are always a good sign right? Its an order and pay type of place like Panera. So we checked out the menu, placed our order and was handed a buzzer that would notify us when our food was ready. 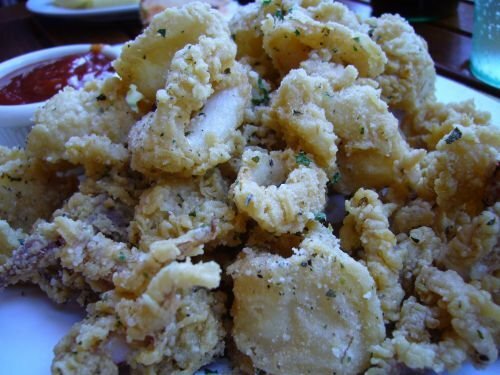 Fried Calamari: I personally was fine without but DV wanted it. It was cooked very nicely... not too chewy. The batter had a nice flavor but it could have been more crunchy. The sauce was a little ... ketchup-y tasting. 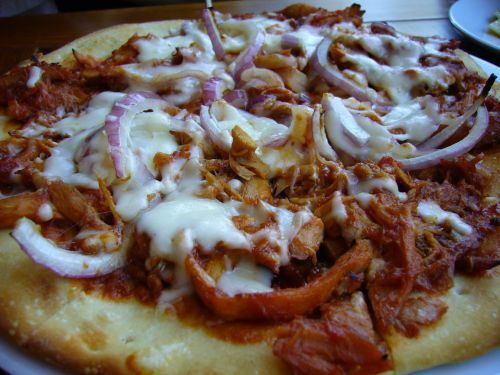 BBQ Chicken Pizza: I'm such a crust fanatic. If the crust is great, you'll find me tearing the crust of the pie and leaving the rest for whoever is eating with me. I didn't really find myself doing that with this pizza. I found the pie a bit saucy... the sauce was bbq sauce and the chicken was drenched in the sauce as well. Sauce overkill! 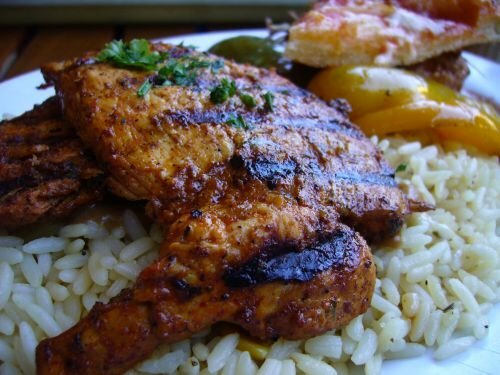 Lime Grilled Chicken: I'm dark meat girl but was pleasantly surprised by the moist juicy tenderness of these boneless chicken breasts. The seasoned rice was very flavorful and a nice compliment to the chicken. Didn't care so much for the leek mashed potatoes or the slice of pizza. 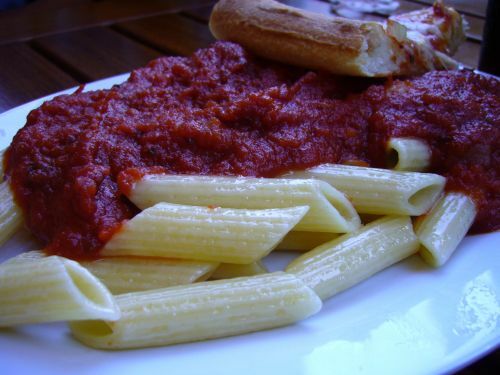 Penne with Marinara Sauce: I can't really say anything bout this as CV totally commanded and destroyed it. Hah! I guess it was good? The one thing that really annoyed me was that a slice of pizza came out with each entree. If I didn't know the name of this place... I'd think they were trying to sell pizza and not chicken. Love your blog! I live fairly close to San Jose so I should go check this place out!